Scientists in China say they’ve discovered the world’s longest insect. 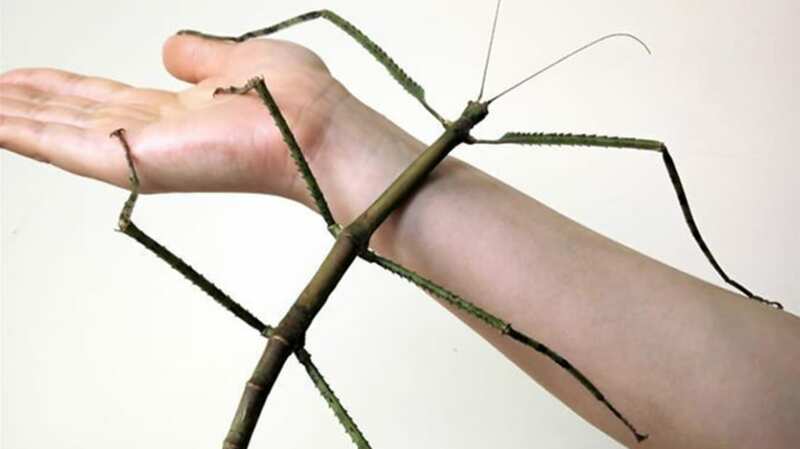 The two-foot-long stick insect was found by a researcher from the Insect Museum of West China in Chengdu, according to the Xinhua News Agency, China’s official press agency (via The Verge). The insect will be called Phryganistria chinensis Zhao, after its discoverer, Zhao Li. He discovered the insect in 2014 on a mountain near Liuzhou City in southeastern China, but the museum has only now declared it the world’s longest insect. It could easily be mistaken for a twig or branch rather than a living creature. Zhao took the specimen back to the Insect Museum, where it laid six eggs. When the eggs hatched, one of the young insects measured more than 10 inches long. The INWC has a knack for locating giant insects. In 2014, the museum announced that it had found the world’s largest aquatic insect.